Two concerts in New York City have just been added to Sting's Back to Bass tour at the Roseland Ballroom on November 8 and 9. 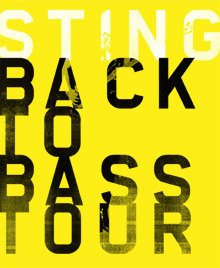 With the announcement of these two performances, the itinerary for Sting's Back to Bass tour 2011 is now complete. Multiple performances are confirmed in Boston, Philadelphia, Washington DC, Toronto, Miami, Houston, San Francisco, Vancouver, Los Angeles, and Seattle, with additional stops in Wallingford, Chicago, Detroit, Dallas, Denver, Phoenix, Las Vegas, and Reno (full itinerary included below). To celebrate the release of the Sting: 25 Years box set and the 25th anniversary of his solo career, Sting will perform all the hits, stripped down, as they haven't been played in years, backed by a 5-piece band in an intimate theatre setting. The fan club presale will begin at 10AM (local time) tomorrow, Friday, October 7. Legacy Fan Club members will be given a one hour advance window at the start of the presale, after which the pre-sale will open up to all members beginning at 11AM (local time). 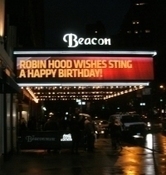 We have reserved a number of tickets exclusively for Sting.com members located within all sections of the Roseland Ballroom, including the Side Floor area. Each member may purchase up to two tickets to each performance. Tickets will go on sale to the public on Friday, October 14 at 10AM (local time). Please note, all tickets are General Admission.